Restore the extensive farming sector, as the key element in order to cover the nutritional needs of the cinereous vulture and other necrophagous birds of interest within the Natura 2000 network in central Spain. Inform all extensive livestock farmers’ exploitations about the possibility to leave animal remains in protected areas and the requirements to do so. Ensure that a significant number of farms adhere to this possibility. That all the food made available to the Scavengers, be deposited in accordance with current regulations and consumed by the target species. 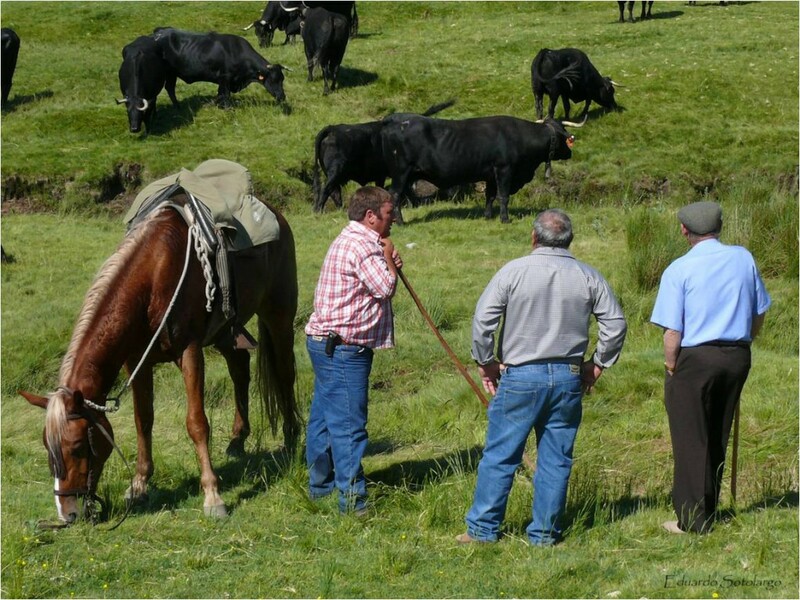 Counsel and collaborate with ranchers about the procedure through which they can gain the authorization to take part in the program. WHAT DOES LIFE FEEDING SCAVENGERS OFFER TO COLLABORATING LIVESTOCK FARMS? Counselling about the requirements needed to join the feeding program established by Decree 17/2013. 3. Consulting services in order to designate zones which comply with the requirements needed to deposit carcasses in livestock farms and pastures. Counselling on how to correctly deposit the carcasses, with the objective of maximizing the consumption of these by carrion eating birds. Follow up on the consumption of carcasses by target species. Time saving strategies in the management of deceased livestock and their carcasses. 7. If the mortality rate on the farm can be contained by the feeding of scavenger birds, the relevant and applicable authorization is held and the established obligations are met this can be a carcass management system and it would be possible to go without the corresponding carcass withdrawal insurance. However, if the mortality rate is higher than amount which the scavengers can consume, the farm must take on the corresponding management to dispose of the carcasses following the parameters implied by current legislation.